She wandered into the esoteric and exotic world of jewels just because she found auctions exciting and wanted to travel. “Sotheby’s was a company that had offices around the world. I didn’t have an art history background but jewellery was a field that I could learn about, on the job. 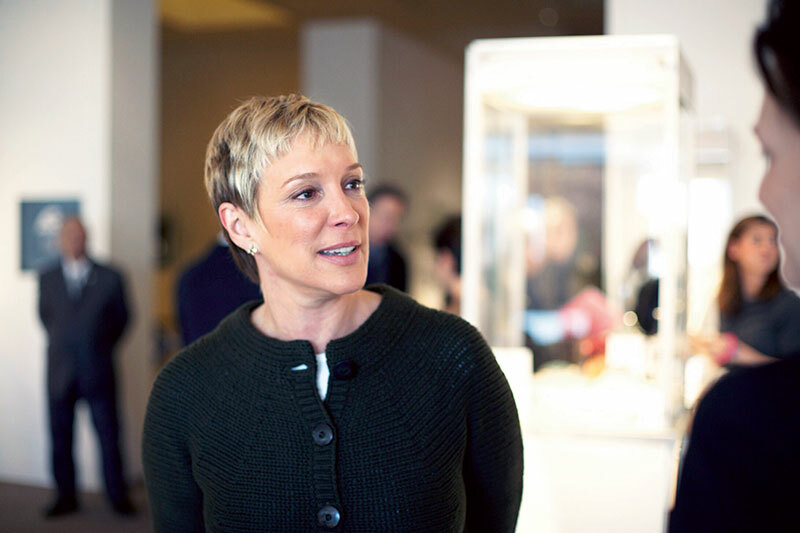 I started in New York and spent an enormous time of my career travelling to Asia, being based in Hong Kong for 15 years.” Lisa Hubbard was appointed head of the Jewellery Department at Sotheby’s, Los Angeles in 1981. The architect of the first specialised sale of fine jadeite jewels in Hong Kong in November 1985, Hubbard was appointed Director of International Jewels, Asia, in 1993 and resided in Hong Kong, directing both Sotheby’s jadeite and western jewellery sales there. “I began with cataloguing which meant I looked at every piece of jewellery that Sotheby’s was selling. The specialists had already calculated the way they rated and dated the pieces but I was the one who had to write the descriptions. It was a wonderful way to learn – discern period pieces from reproductions, fine workmanship from that which was more ordinary. I learnt about the subtleties of colour, the imperfections in stones that were a roadmap to where the colour in the stones had come from. This was the beginning of my career to mastering facets of jewellery. Every auction is very different, which means more knowledge added with each one.” Hubbard maintains that she used to think these collections were never ending but experience taught her that the designs by the great masters are like any other artist’s creations – limited, unique and incorporating the same aesthetics as a painting on canvas, save that these were done with stones and metal. 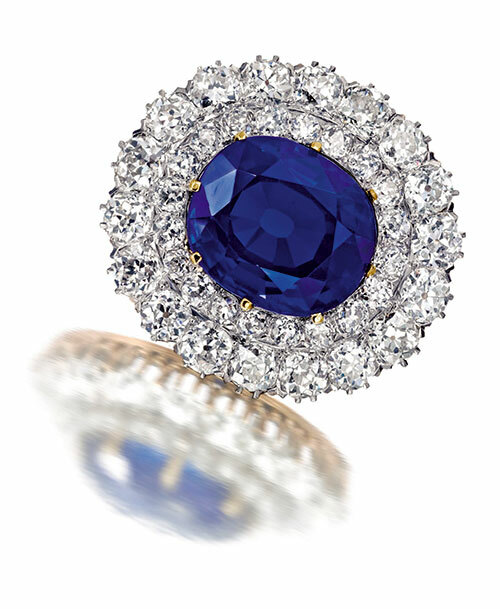 Sotheby’s historical auctions have been presided over by Hubbard since 1981, like those of the late Jacqueline Kennedy Onassis, which realised $34.5 million, dwarfing its pre-sale estimate of $3.3 million–$4.6 million and the Property from the Collection of the Duke and Duchess of Windsor (1997), which achieved $23 million against a far smaller estimate of $5.2 million–$7.4 million. She has also been involved in the sales of jewellery from the estates of Mrs Jack Warner, Paulette Goddard, Ava Gardner, Georges Lurcy, Annie Laurie Aitken, Libby Moody Thompson, Andy Warhol, Clare Booth Luce, The Duchess of Windsor, Harry Winston, Betsey Cushing Whitney, Maria Callas and Madame Claude Arpels. “What we’ve tried to do is to increase people’s understanding and appreciation of jewellery by cross-marketing jewels with art – if you show people what is special about a piece of jewellery, whether it’s Art Nouveau, Art Deco or period, they look at it in an entirely different way.” Having accumulated valuable knowledge on jewellery, Hubbard is content with not wearing much herself. Part of her growing up years were spent in India. “Despite being widely travelled through Europe, nothing really prepared us for India. The night I arrived here, I saw a gecko on the wall! India grew on me. When I went back to boarding school, I missed the sounds of India, the calls of traders, the colours that made you feel so alive, the tastes that are so acute. I felt at home here and to a certain extent, India still remains a special place.